Very much appreciate Sherry’s gracious invitation to appear here today. Well I have. At least it seems that important and timely to me. 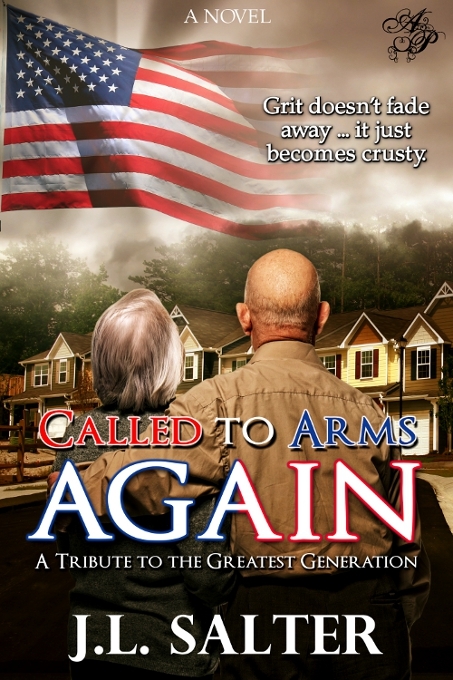 No, not FOR me — because this novel is my tribute to the Greatest Generation … and those still living are leaving us all too quickly. I’m a “baby boomer” — my parents and teachers (and practically every adult I knew) were among that generation which struggled through the Great Depression and sacrificed during World War II. 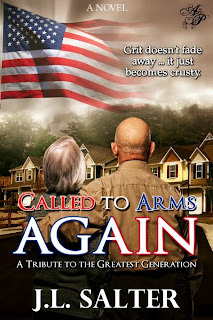 Called to Arms Again was released on May 30 from Astraea Press. Of the seven novels I’ve completed so far, this was my third written and my third fiction book published. 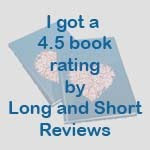 I haven’t gone ‘all-out’ with promotion of my first two novels – romantic suspense and romantic comedy – because they’re mostly enjoyed by readers of those genres. But the sky’s the limit on promoting C2AA — this story appeals to readers of both genders … from ages 19 to 90! Thank you, Sherry, for hosting me here today. Seeing your site's banner, I'm reminded to clarify to your readers that my story, Called to Arms Again, also features romantic relationships. There's Kelly & Mitch (primary heroine & hero), Diane & Joe (both about 60), Ellie (about 60) and Chet (about 80), and Mr & Mrs. Henley (both in early 80s). Love your tagline, Jeff! Looks like a great book. Absolutely, Jeff. As you know, getting people to tell their stories and keeping family stories alive is a pet project of mine. I think your book may get a lot of dialogues going and maybe people, either those who actually experienced the War Years or we Boomers who have not passed on what we had heard, will write down or verbally pass along stories of that great generation. Congratulations! Thanks, Karen. I appreciate your visit and comment. Tonette, that is definitely my hope. But most of all, I just want the surviving members of the greatest generation to know how much I appreciate what they accomplished and how they made the world a much better place for so many of us.